The TLD two-speed range is one of the most reliable reels on the market - solid proven construction that are cross purposed in application - whether it be using monofilament lines and trolling live bait, sub surface bibbed lures or game lures for kingfish, tuna or marlin. 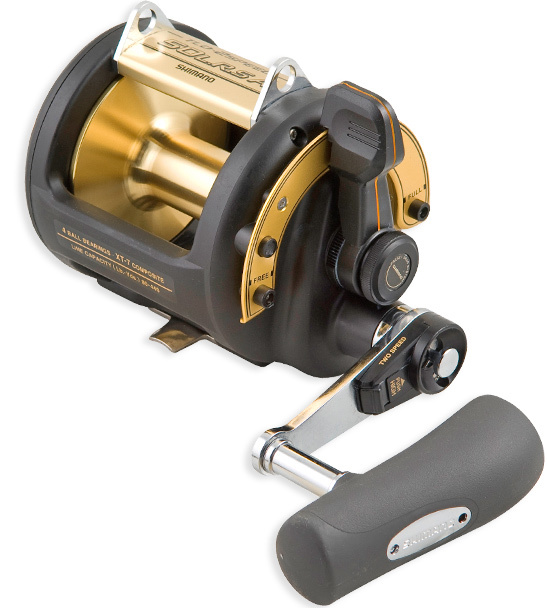 Or employing braided lines like Power Pro to drop baited hooks into the benthos targeting bluenose, hapuka and bass these reels will take it in their stride. 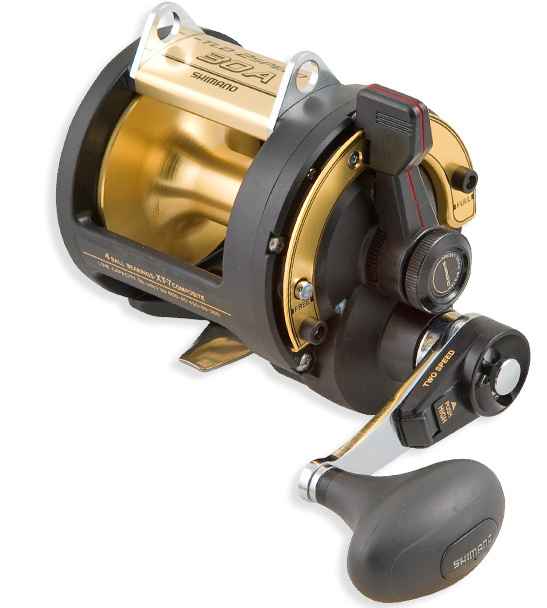 Shimano's composite XT-7 frame material gives The TLD 2-Speed family of reels a modern look and eliminates body 'twist'. Once hooked up and in the heat of the battle the 2-speed feature allows the angler to select a high or low ratio mid-fight to subdue even the most stubborn of reef dwellers.